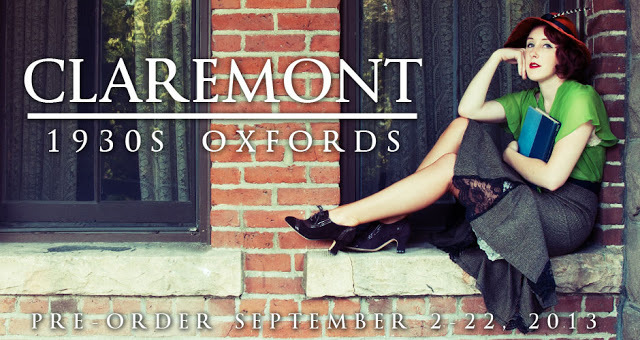 Have you seen the new American Duchess “Claremont” oxfords?! And the giveaway that is happening?! I have loved all of the wonderful historical shoes from American Duchess for years, but since I have no bustled gowns, etc. in my wardrobe (which I really should remedy!) the historical footwear did not suit me. 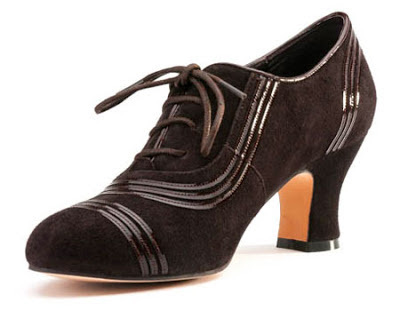 But things are moving in a much more contemporary direction, with the 1920s spectator pumps, and now these oxfords with a perfect 1930s flare. 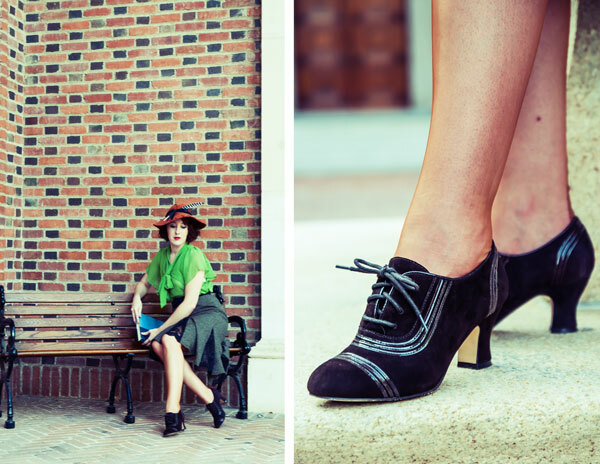 As I am becoming more and more obsessed with the 1930s, these heels are calling my name! Here’s hoping that a 1940s design will follow in the near future! Pretty, pretty, please! And can we talk about how adorable Lauren looks? Beautiful shoes, dear Laura! I fully understand that you are in love with them. Perfect for fall. Greetings. I have not ever heard of this brand...simply in love! :) I do really like Campbell's style shoes they are right along these lines....I am so happy to have found your blog! I also love to sew with a vintage mind set. Will now go enter the giveaway for these lovlies! Thanks for sharing! I had not heard of this brand either. I really like the button up boots on their web site but fear that the shape of the toebox is yet another bunion-begetter. I love, love, love these as well as all the other shoes she has on her site. Perhaps if I make them a well deserved reward for creating the dresses they should live with? Love your beautiful creations, now having started to create the wardrobe of my dreams, I will continue to view you as an inspiration.